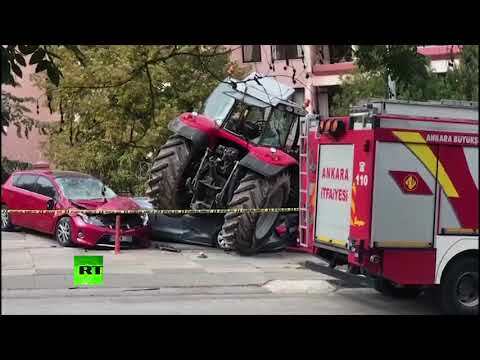 Man plows tractor into cars on way to protest at Israeli embassy in Ankara | We Seek the Truth! A man, who was allegedly driving his tractor to a protest at the Israeli Embassy in Ankara, was shot in the leg by police. Before he was apprehended, his rampage destroyed several nearby vehicles.